Who do you trust to regulate the safety of some of the most basic goods you consume every day: An independent expert, or the industry that makes billions of dollars selling those very goods? When it comes to food, we are forced to trust the industry. This month, the federal government is trying to implement the food safety standards it passed in 2011 as part of the Food Safety Modernization Act, the first substantial piece of federal food safety regulation in decades. The new safety standards are modest; they do not address anything near the full range of food safety issues facing the American public. Yet, successfully implementing even these minor changes remains a challenge. And the food industry continues to have significant influence over basic safety and public health. Even the Food and Drug Administration (FDA) is not immune to this influence. It has finally recommended that artificial trans fats, an ingredient found in many processed foods, no longer be “generally recognized as safe,” despite serious health concerns about them that have been well-known for years. The FDA’s proposal is an important but much delayed step — so much so that the industry is responding to it with a mere shrug. The scientific community overwhelmingly agrees that trans fats pose major health risks, and the FDA estimates that a ban could prevent 7,000 deaths and 20,000 heart attacks every year. But the food industry is not pushing back too hard on the proposed ban, because it has already had to adjust to a shift against trans fats, after local governments took steps (that the federal government did not) to promote the health of their citizens: New York City, California, Philadelphia, Cleveland and others banned the use of trans fats in restaurants years ago, stigmatizing them so much that consumers began largely avoiding their consumption. Consumption of trans fats has significantly decreased over the past few years precisely because of local bans and the awareness they raised. But the FDA’s proposed ban is notable precisely because it is a disturbingly rare intervention on the part of a federal agency into food safety. An August 7 study co-authored by Pew Charitable Trusts and published in the journal JAMA Internal Medicine revealed that Americans are almost entirely reliant on food companies to self-assess the safety of the additives they use to make food less perishable, look nicer and taste better. 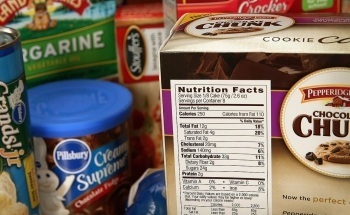 Those additives, including artificial sweeteners, coloring, salt and fats, also help food companies make their products cheaper and more appealing to consumers — and are not subject to outside scrutiny. While the degree of the food industry’s influence over safety standards is news, its general disregard for the health of its consumers is not. But more and more Americans are catching on. In my Carroll Gardens neighborhood of Brooklyn, New York, it has become difficult to find produce that is not labeled “organic,” eggs that do not come from grass-fed, free-range chickens, or meat that is not hormone-free. Restaurants bill their fare as fresh and locally sourced. I worry sometimes that I am the only person on my block with no desire to can my own preserves, raise backyard chickens or grow heirloom tomatoes on my fire escape. The value placed on health in my neighborhood is a positive thing. Widespread commitment to sustainability and a do-it-yourself creativity all make for a strong local food culture, which is increasingly springing up in communities across the United States. Even big businesses seem to be catching on — Detroit, long an urban food desert, is getting a Whole Foods this year. Farmers markets have sprung up around the city, too, and shared gardens are becoming more common. But the underlying motive for the shift is disturbing: It stems in part from a pervasive distrust of food safety standards and the ingredients big companies add to processed foods. Small-scale, individualized solutions are valuable, but they cannot fix the bevy of food problems Americans face, or replace large-scale, institutional change. The grow-your-own ethos can only serve those with the money, access and privilege to do it themselves. The luxuries of growing food and buying organic are not available to many Americans. The Department of Agriculture estimates that about 23.5 million Americans live in food deserts that lack reliable access to affordable, healthy and fresh food options. At the same time, American corporate food interests — like those showcased by the Pew report — make it easy and affordable to buy food laced with additives that taste good but have little nutritional value. The mass-produced items that line supermarket shelves are advertised as wholesome when they are not. Hot Pockets, microwavable turnovers produced by Nestlé, are packed with high levels of saturated fat and processed meats, but are advertised as a source of “8 essential vitamins and minerals.” Chocolate-coated fiber bars, which have the same nutritional benefit as a Snickers bar,bill themselves as a good source of fiber to aid digestion, even though the form of fiber they have lacks the health benefits derived from the fiber in leafy greens or whole grains. It is true that people can choose to avoid processed foods entirely. But if you are a low- or middle-income mom working a low-wage job (or two), it is easier and more affordable to make Hamburger Helper or get Taco Bell take-out than to get your hands on fresh produce, which can be hard to access, and — thanks to federal subsidies that make the production of items such as soda and processed cheese incredibly cheap — comparatively more expensive. Transforming this country’s food culture requires major government intervention, but public officials have little interest or incentive to institute change. They pay lip service to healthy eating, but promote individual, rather than systemic solutions — solutions that are only realistically available to those who are already privileged. For example, the federal government’s web site, nutrition.gov,offers a series of genuinely helpful tips on cooking, gardening and healthy eating. But there is little effort given to, say, regulating junk-food advertising as we do advertisements for cigarettes. Coupled with suggestions for individual lifestyle adjustments, elected officials also need to push back harder on big food and agriculture interests, and step up regulations in advertising, labeling and food safety. Just as important, the federal government needs to lead the charge, rather than simply formalizing changes that have already been largely forged, as they are doing with the proposed ban of trans fats. Sadly, there seems to be little political will to increase the small number of food regulations that currently exists. The food industry is large, wealthy and litigious. The Texas Cattle Ranchers notoriously sued Oprah Winfrey when she covered just a few of the problems with the meat industry on her show. Winfrey won the case, but had to spend six years in legal fees on her defense. The takeaway was clear: Unless you are a billionaire, you do not want to go toe-to-toe with Big Food. And Big Food is bigger than you might think. Processed food is a $1 trillion industry; snack foods alone account for $90 billion. And some of those companies do not just make money from manufacturing snacks; they profit by owning the same companies that promote weight loss and “health.” Jenny Craig is owned by Nestlé; Weight Watchers was owned by Heinz, and after it was sold in 1999, the new owner brought on a CEO from Pepsi Co.
Diabetes has become a nationwide crisis thanks to our food industry. In some states, one in 10 residents suffers from it. But instead of combating the systemic food issues that are making people sick, President Barack Obama’s administration is pushing the individualist approach, encouraging families and children to exercise and eat vegetables. Michelle Obama laudably tells people to eat wholesome foods and encourages food companies to produce and market healthier fare, but you rarely see her pushing for the regulation of aggressive advertising of nutritionally bereft, sugar-heavy processed food products to children. The Obama administration deserves credit for its focus on food and health. But Congress simultaneously spends millions on food subsidies that promote the over-consumption of cheese and dairy products. Promoting nutrition and exercise is a great start, but focus on obesity and weight loss should not be the first priority. The size and weight of an individual’s body is not the problem in and of itself, and telling individuals how to change that size or weight is not the solution. The real goal should be to increase individual knowledge about nutrition while simultaneously creating federal policies that make healthy foods accessible and affordable and ensuring that food safety is comprehensively regulated — so that big corporations cannot deceive consumers about the food they eat. Those who can afford to make individual changes should feel good about their efforts. But we must remember that building a truly health-centered food culture requires not just caring about what we put in our mouths. We must also pay attention to how we cast our ballots and force our leaders to act. Tags: FDA, Food, health, Jill Filipovic. Bookmark the permalink. however suppose you added a headline to maybe grab a person’s attention? In Food Industry | The Information Age is kinda boring.